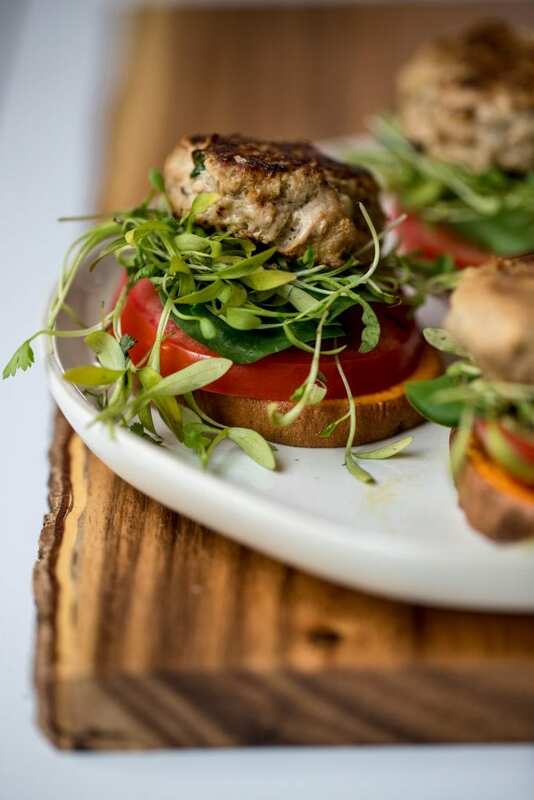 Sweet Potato Turkey Burger Sliders use sweet potato as the “buns” which will revolutionize the way you make turkey burger sliders! The combination of ground turkey and the sweet potato adds a flavorful twist to your original turkey burger. It’s kind of like combining your sweet potato fries and a bite of your turkey burger…but in one bite! 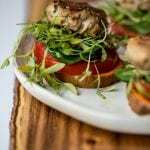 These turkey burgers are also wonderful as is or even using lettuce wraps if you don’t have sweet potato! They are also gluten free, paleo and full of protein and antioxidants! If you feel like you want a break from beef or hamburger meat these win every time! I am showing you step by step how simple it is to make these sliders! First you will roast your sweet potato slices in the oven for 20-30 minutes at 375 degrees F or until tender. Cut your sweet potato rounds 1/2 inch thick. While the sweet potato rounds cook, prep your turkey burgers. In a medium sized bowl you will mix your ground turkey, cheese, white onion, oregano, cayenne, garlic powder and Italian seasoning together. Next, mix in the egg, soy sauce and Worchestire. I know the soy sauce sounds odd, but it adds such a yummy flavor to the patties! 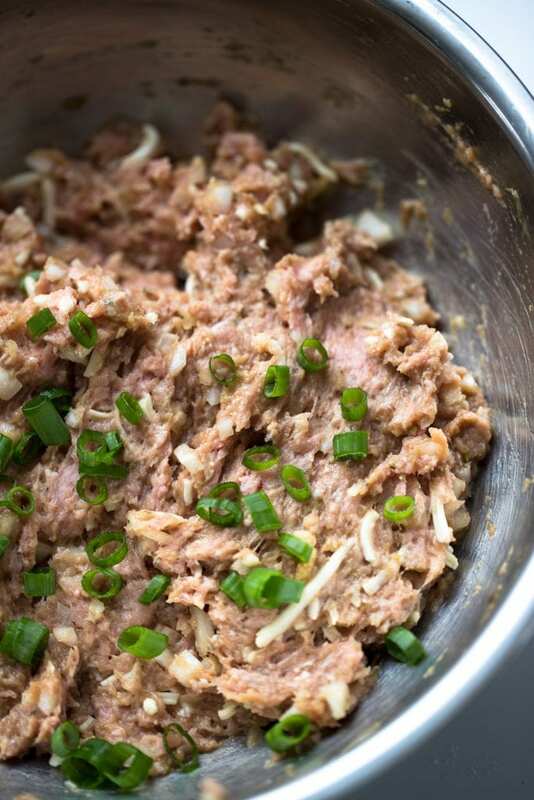 Give everything a nice mix, and add in green onions! You will cook the patties on the stove in a frying pan in batches. It will make about 16 small patties. Be sure to keep a close eye on them, since they are small they cook fast and can burn quickly! Cook until internal temperature of 165 degrees F.
Then once the sweet potatoes are cooked and the patties are done, you can line up the Sweet Potato Turkey Burger Slider station! Serve these sliders with all of your favorite toppings! I have some ideas for you below. I hope you love this recipe! Let me know in the comments below what you think! 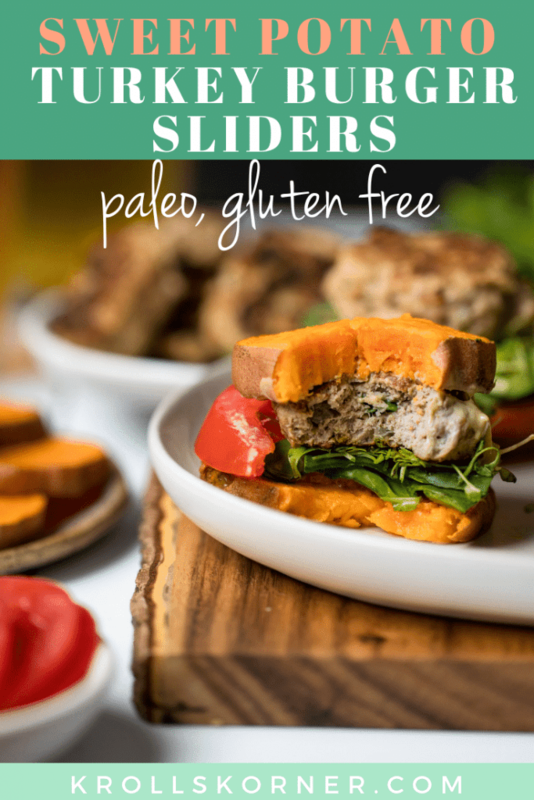 Sweet Potato Turkey Burger Sliders are paleo, gluten free and full of antioxidants! They are great for parties, meal prep or appetizers! 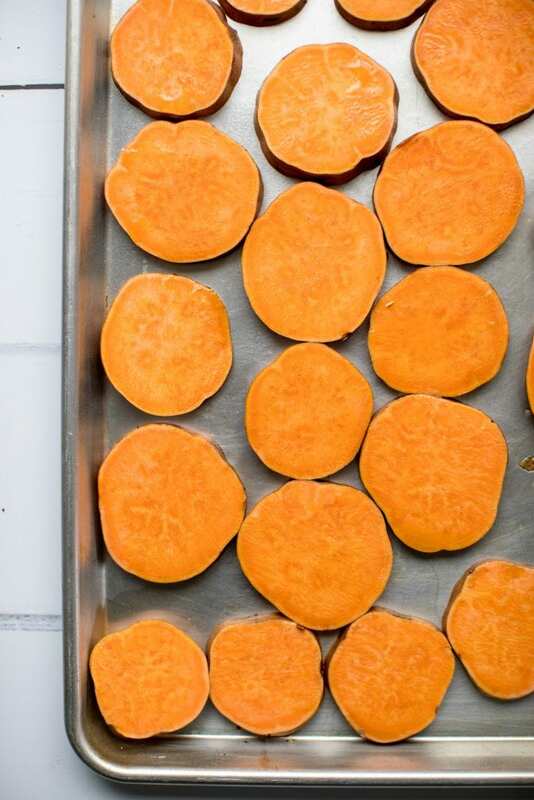 Place sliced sweet potatoes evenly on the baking sheet and drizzle with 1 Tbsp. olive oil. Cook in oven for 20 minutes, or until tender. Remove and set aside. 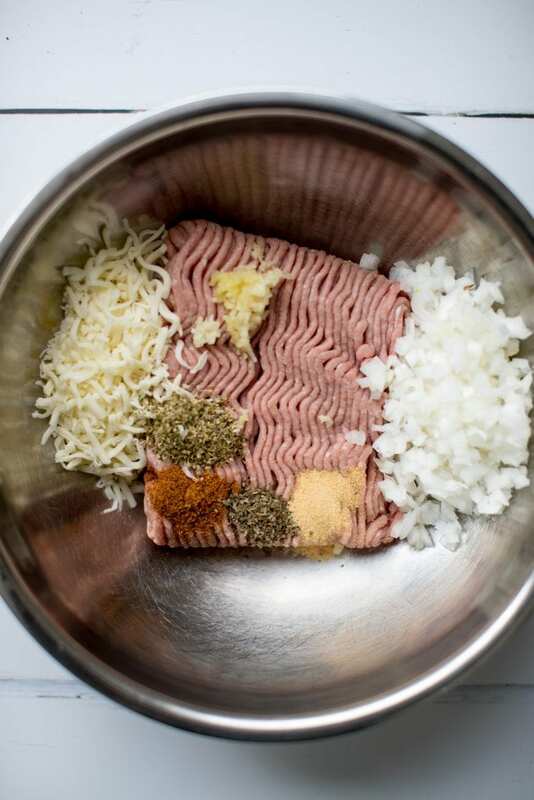 In a large bowl, mix the ground turkey with cheese, onion, garlic and seasonings. 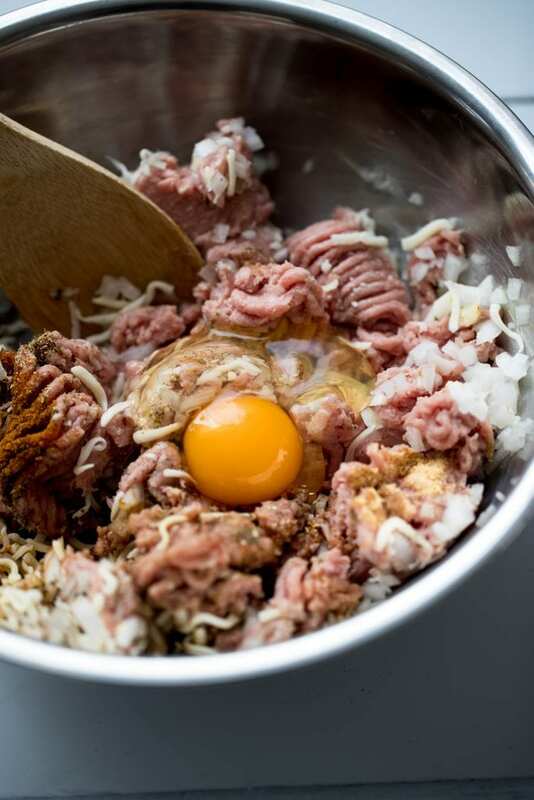 Once fully incorporated, mix in the egg, soy sauce and Worcestershire sauce. Shape turkey burger patties into small sliders. You want them to be able to fit nicely on the sweet potato "buns." 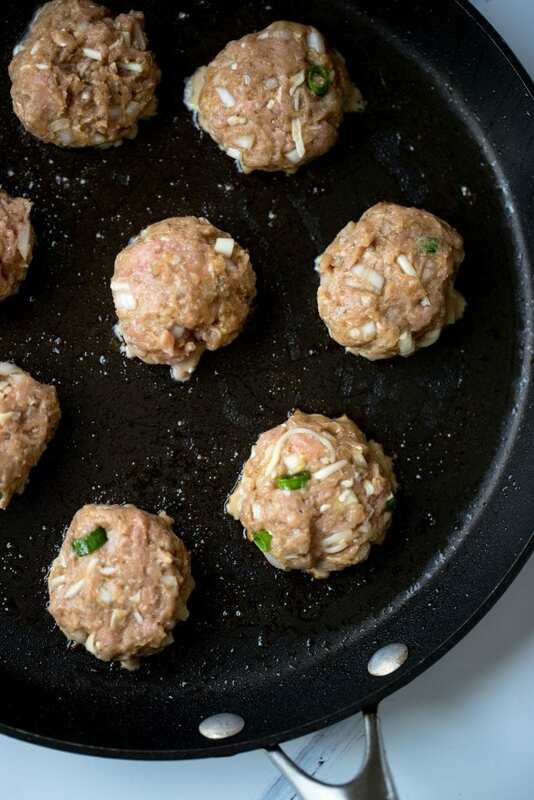 Heat olive in a large frying pan, and cook turkey burger on the stove over medium heat, or on a grill if you prefer. Once burgers are fully cooked, build your burgers with your favorite toppings! 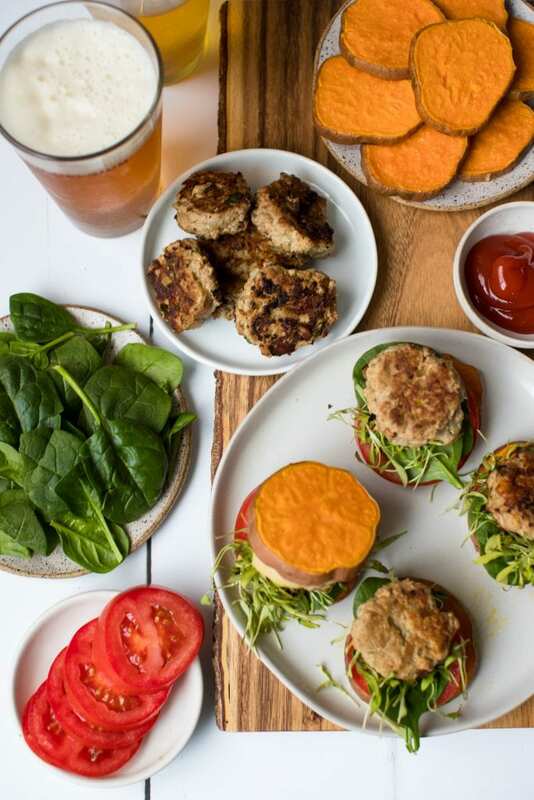 PIN THESE SWEET POTATO TURKEY BURGER SLIDERS FOR LATER!